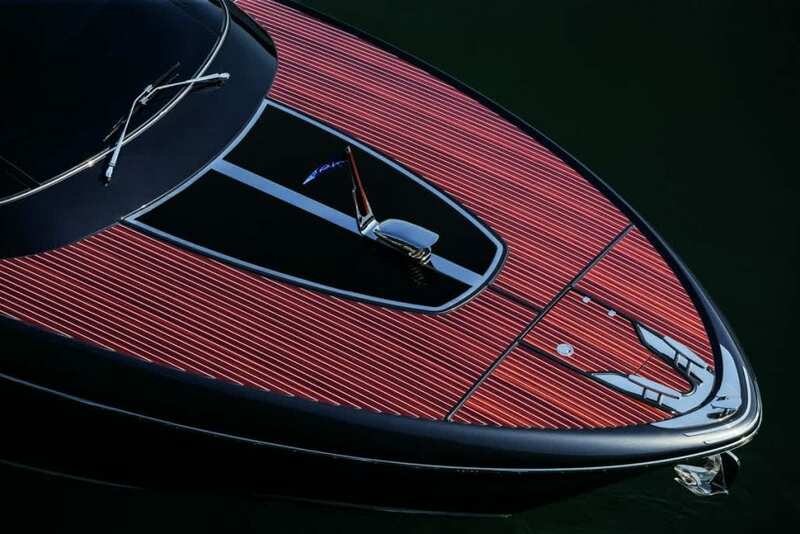 If ever there was a brand that could justifiably claim to be the Rolls Royce of powerboats, it would be Riva. 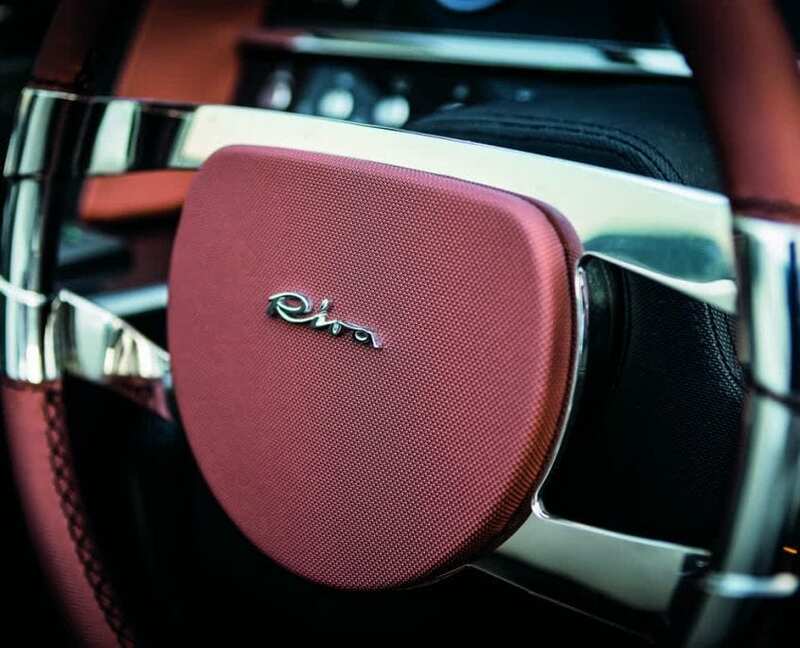 Designed and built with a fanatical dedication to perfection, and with a heritage that goes back over a century, nothing else has quite the status, allure, dignity and glamour of Riva. 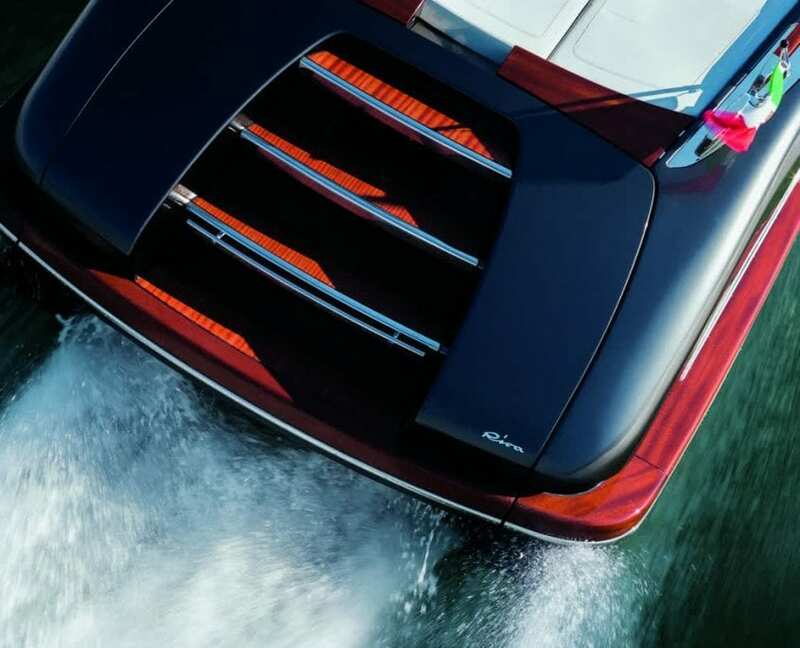 This year’s London Boat Show sees the UK debut of Riva’s latest and most glamourous addition to their dayboat/weekender line-up, the 39ft Rivamare. Every inch the modern day re-imagining of the legendary mahogany Rivas of 50 years ago, the Rivamare is a glorious combination of exquisite design, meticulous quality, flawless finish and impeccable performance. 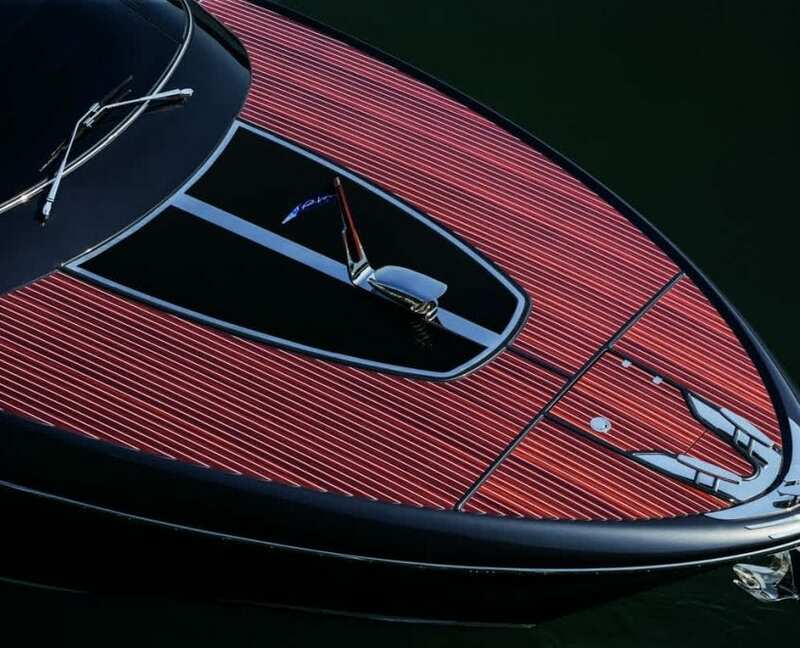 The Rivamare’s sublimely elegant lines, voluptuous sweeping stern and gleaming wooden deck are all classic Riva hallmarks. 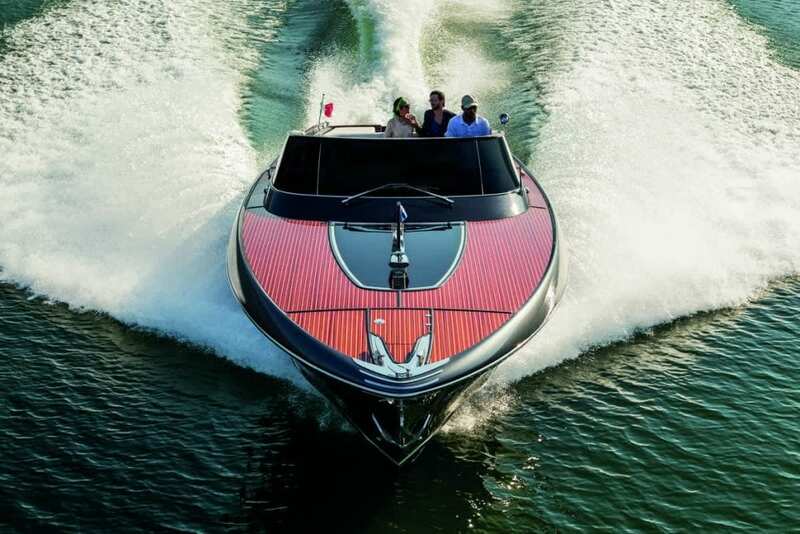 As an open-top dayboat, the Rivamare is sheer perfection. Her cockpit and deck areas are not just beautifully designed, they are also brilliantly practical and superbly comfortable. The cockpit is where people will spend most of their time, and they’ll be happy to find it fitted out like a luxury limousine, but with the added attractions of sun loungers and steps down. to the sea. 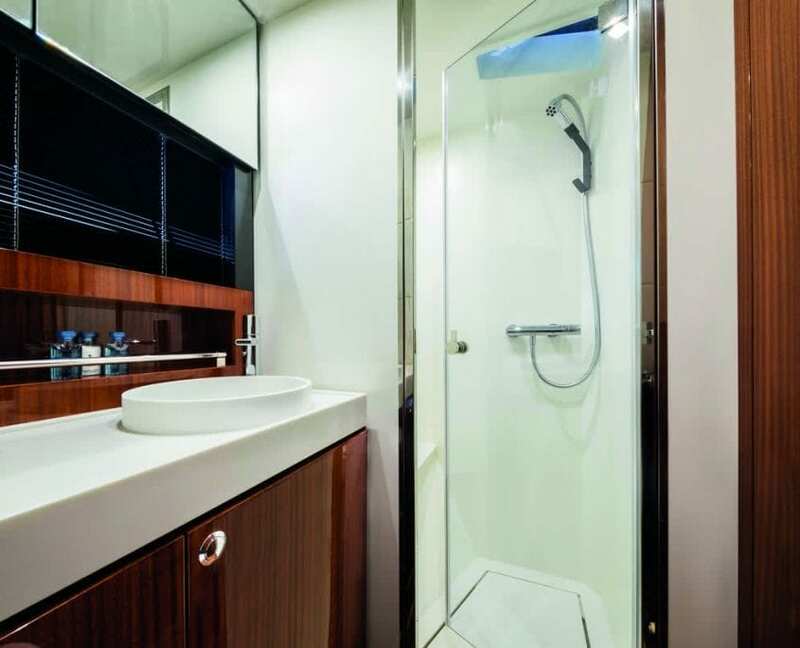 The main centre section of the transom opens out to form a bathing platform, revealing a garage with plenty of space inside for a Seabob, skis and other watersports gear. The interior of the Rivamare is something to behold. Surprisingly spacious, the detailing is simply stunning. It is trimmed in beautifully hand-stitched leather, with gleaming woodwork and polished steel that sparkles like precious metal. It makes the perfect day cabin, but also provides genuine overnight accommodation when required. The v-berth, which converts to a double, also serves as a seating and dining area. 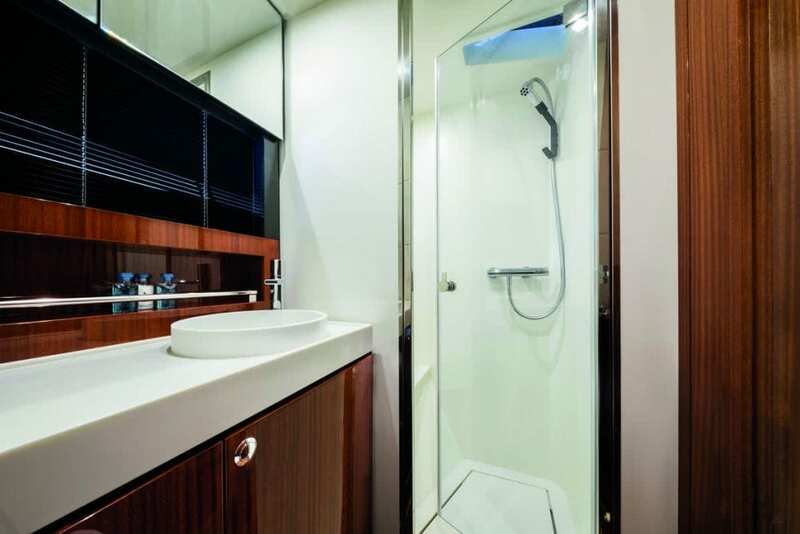 And there’s a fully fitted bathroom with shower and wc, plus a galley. 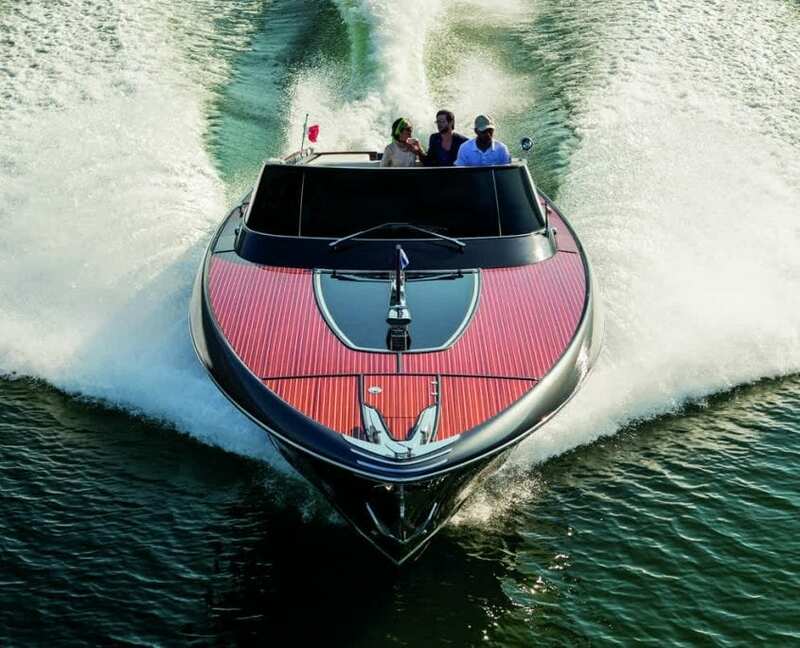 And yet, with all this style, design, glamour and luxury, the Rivamare is a powerboat, and an exceptional one at that. The best part of owning one of these wonderful machines is undoubtedly getting behind the wheel and opening the throttles. 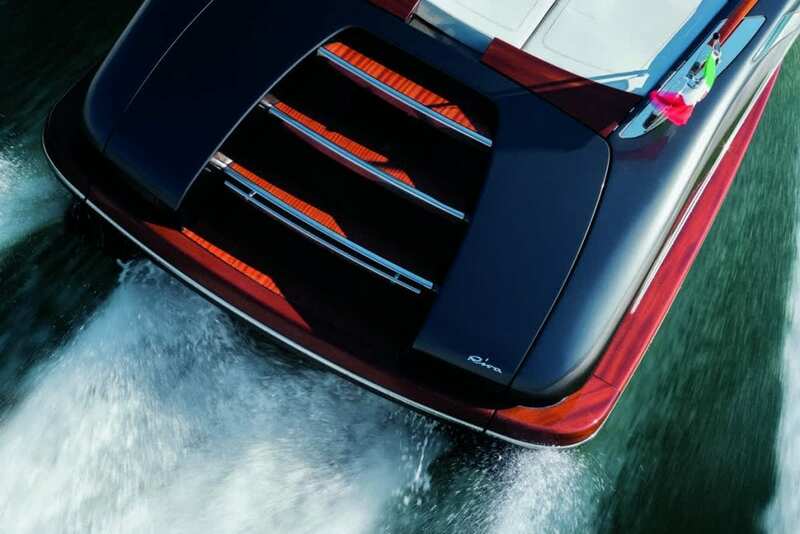 The helm station has the sort of look you might expect if Gucci designed a console for a racing powerboat – you just know that what you are about to experience is going to be something very special. And indeed it is: smooth, powerful, astonishingly responsive, the Rivamare handles like a dream. 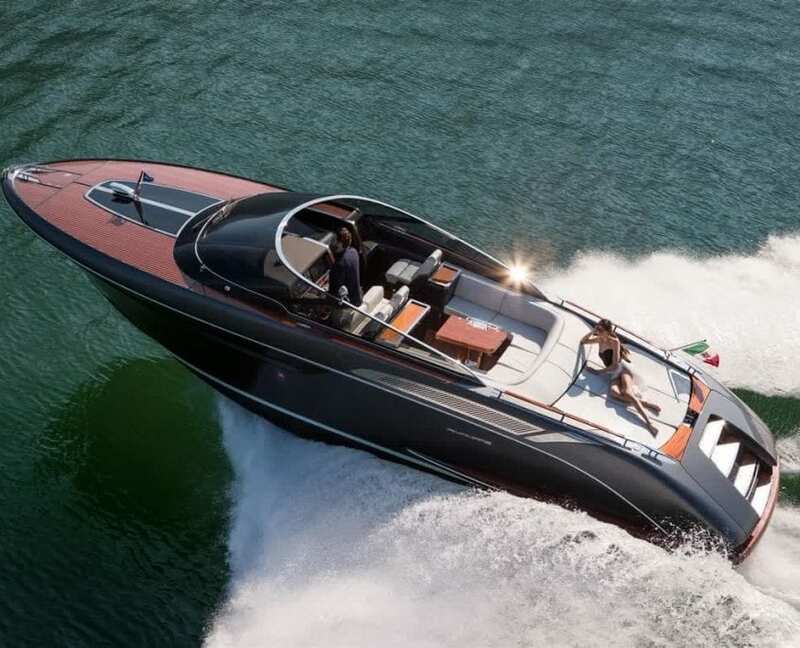 Nestling unobtrusively below the sunbeds are twin 400hp Volvo sterndrives, ample power to accelerate the Rivamare smoothly and gracefully onto the plane, and on to a top speed of 40 knots (46mph/74kph). 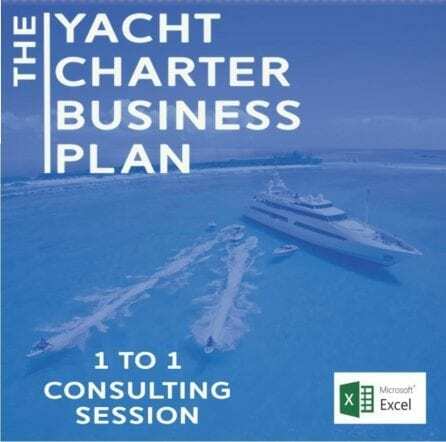 This is not a boat for the shy and retiring. The Rivamare will demand and attract attention, not to mention admiration and even adoration. When it comes into view, onlookers will inevitably stand and stare, such is its presence and poise. 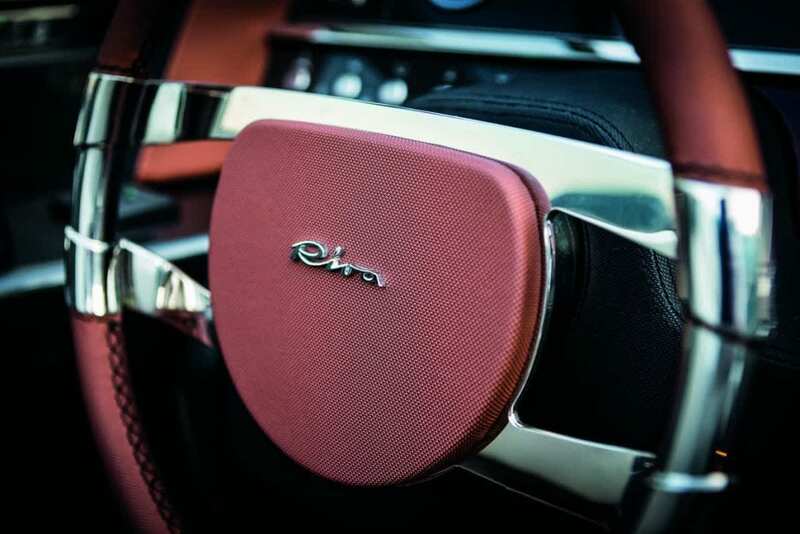 Fashionable trends may come and go, but the timeless elegance of the Rivamare will turn heads for years to come.